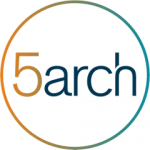 5 Arch Funding Corp. offer loans for real estate investors. Their rates range from 7.99% to 10.79% and they lend up to 85% of LTV. 5 Arch Funding Corp. has made loans since 2001. They are rated 5 stars based on 3 Facebook reviews. Want to know the top hard money lenders for small business? Read our 5 Arch Funding Corp. alternatives guide. Business Name: 5 Arch Funding Corp.
Visit 5 Arch Funding Corp.
Work For 5 Arch Funding Corp.? Claim This Page.